C21 has announced the upcoming launch of Content Canada, a new online platform covering the global content business through the lens of the Canadian industry, supported by a series of events. The inaugural Content Canada event will take place during the Toronto International Film Festival® (TIFF®) in September 2018, with the festival as event collaborator. C21 has appointed Ferne Cohen as chief executive officer of the new venture. She will oversee the business, including managing the first event during TIFF. Most recently, Cohen was the executive director of the Banff World Media Festival for almost a decade. 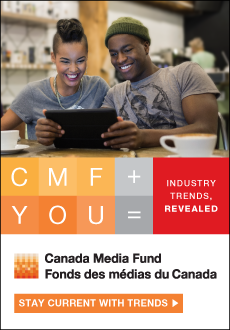 The website – contentcanada.net – will be curated by Cohen together with C21’s Canadian bureau chief Adam Benzine and a raft of high-profile contributors. C21Media editor-in-chief & managing director David Jenkinson (left) said: “Content Canada will connect the Canadian market with the world. It is all about thinking local but acting global, and designed to help support the flourishing Canadian industry on the world stage”. "Exploring new frontiers of the moving image and digital content sparks interest for TIFF audiences and attendees,” said TIFF’s director of industry, Kathleen Drumm (left). “TIFF welcomes C21 Media's entrance into the Canadian market and is pleased to offer our industry delegates special rates to attend this event." Further details about the official launch date of the website as well as programme and ticket information for C21’s Content Canada event during TIFF will be announced shortly.